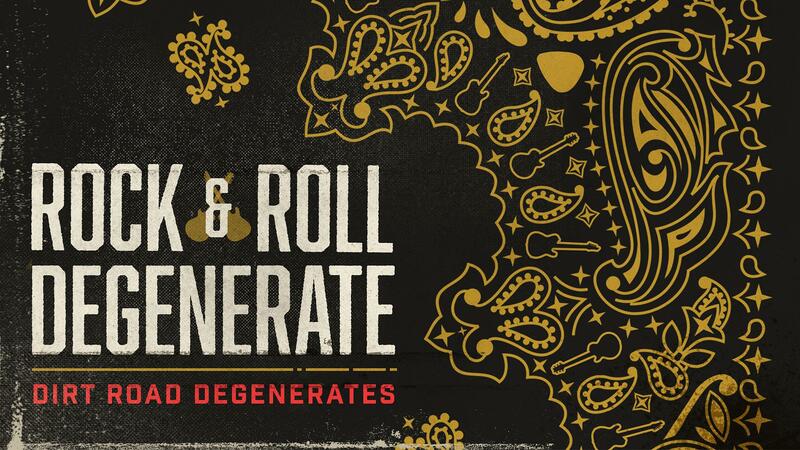 “Rock & Roll Degenerate” is the sophomore single from Nashville based Dirt Road Degenerates (DRD). The duo of Aaron Schilb and Chris DeLisle play some of the most compelling southern rock found anywhere. DRD are known in Music City for their dynamic live performances (whether as a duo or a full band), and as the hosts of the popular Sunday night songwriter round Nashville Tour Stops. The duo have built a large following with their nonstop schedule of live performances. This lead to their debut single “Talking Country” premiering at #91 on the iTunes Top 100 Rock Songs back in January and the duo being invited to perform at CMA Fest. This new single promises to be their all out breakthrough release. “Rock & Roll Degenerate” is a story of how Aaron Schilb went deaf. His hearing began declining in elementary school and in high school he was instructed to not play music because it would inevitably make his hearing worse. Having struggled with degenerative hearing loss (hence the name of the song) through his formative years as a musician, Aaron has had to find ways to make accommodations for himself including: lots of practice, play by sight and feel, and basically just good luck hoping for the best.